Horiv was the first, who left us, his Mum, siblings and friends Kurilean Bobtails. 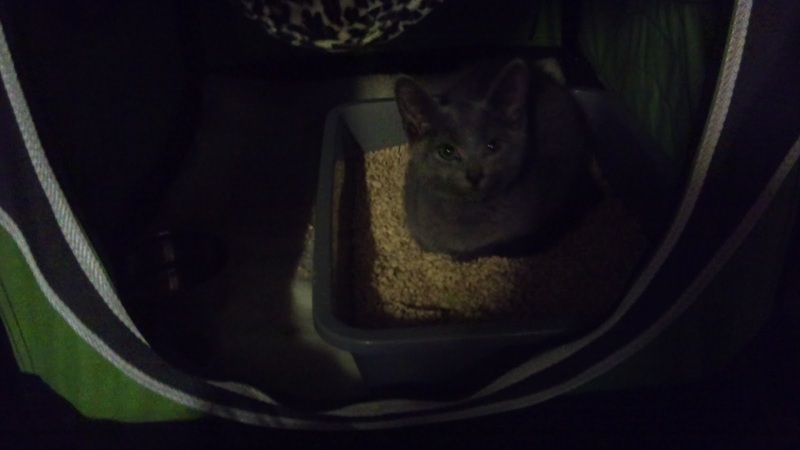 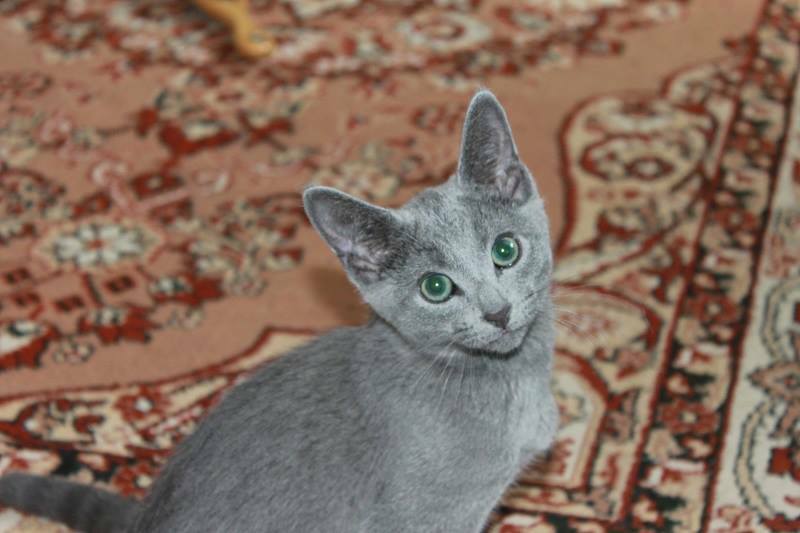 He went to Germany, Bruchsal, to the cattery Russisch Blau von Malyschka. 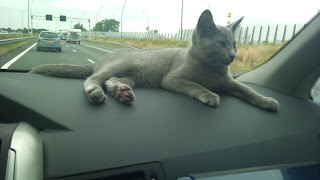 The breeders Natalia and Ralf Pospiech like him very much and look forward for the interesting litters. 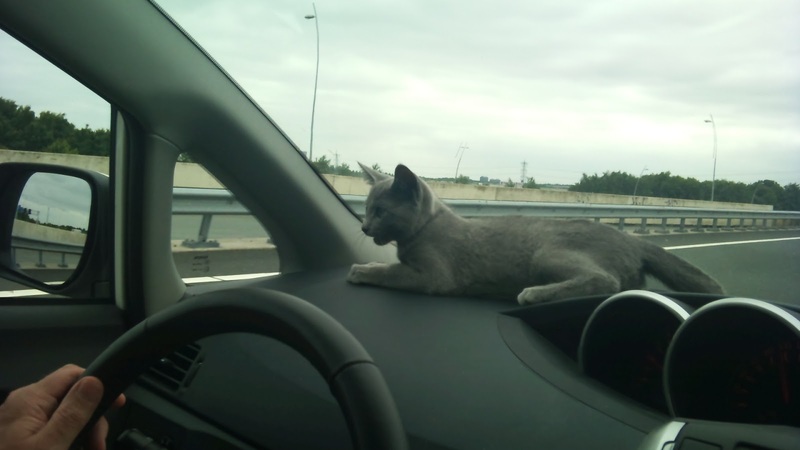 But this will be in the future. 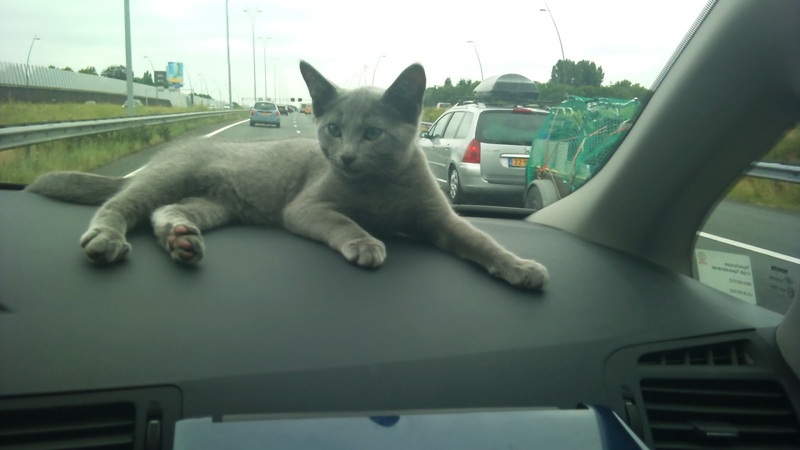 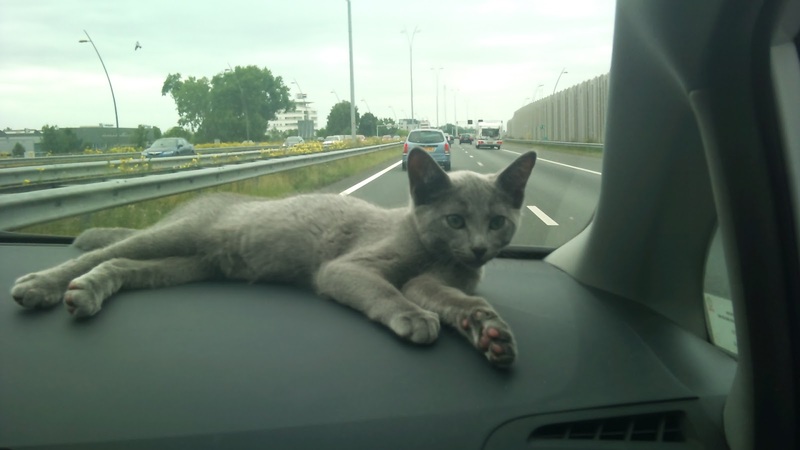 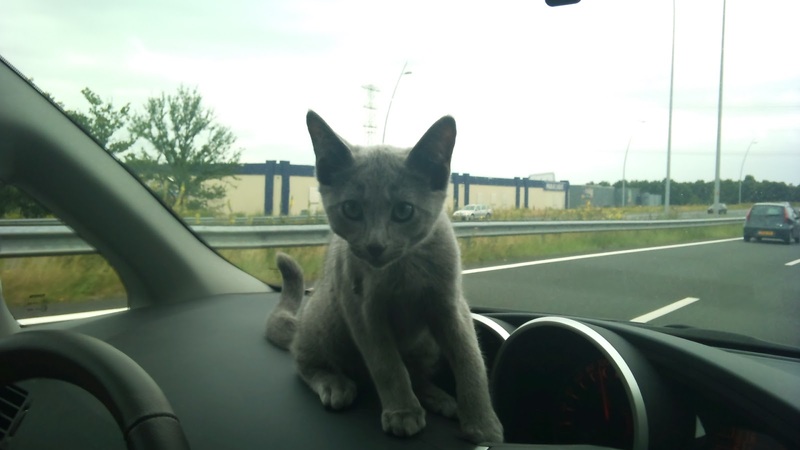 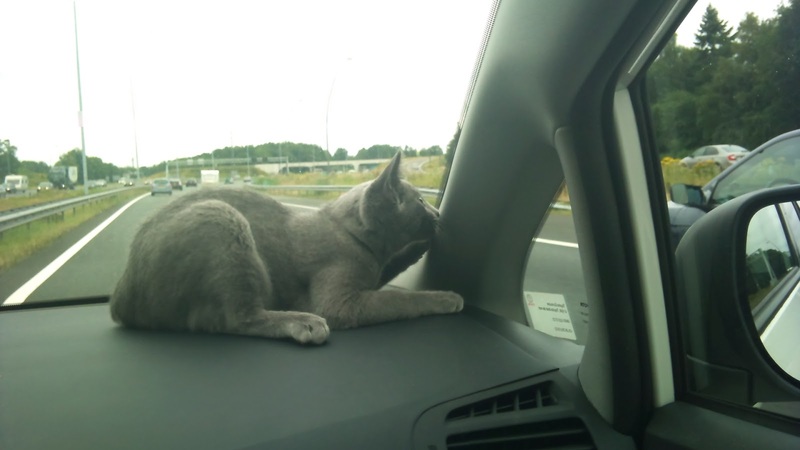 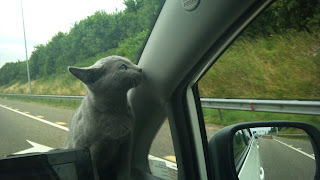 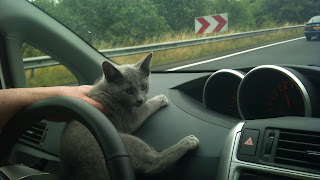 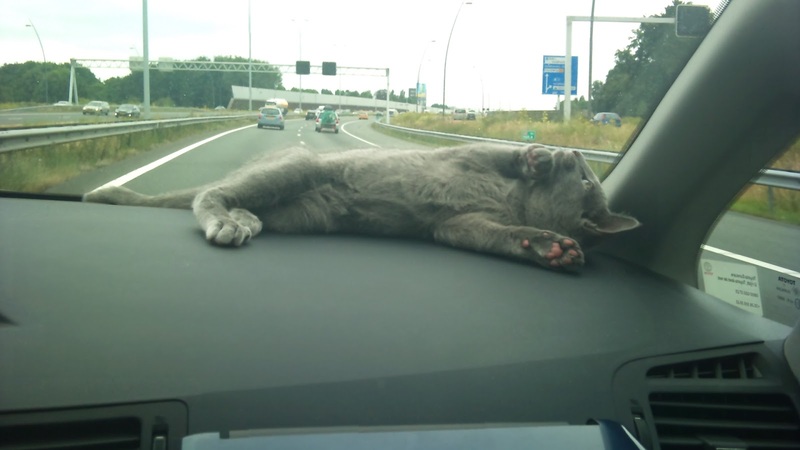 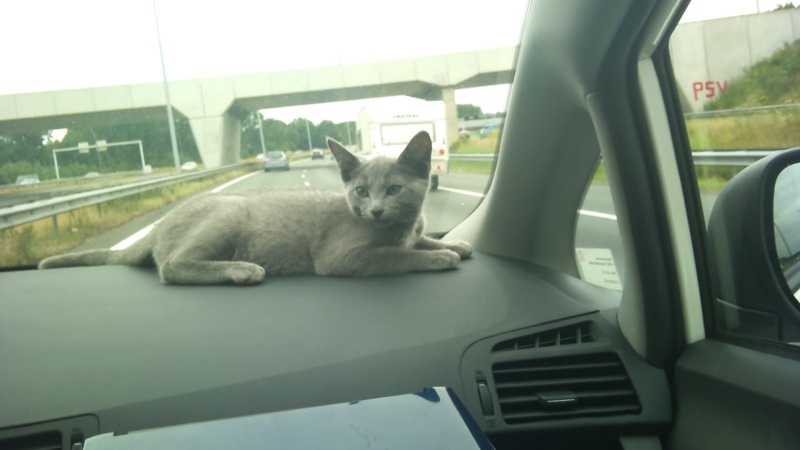 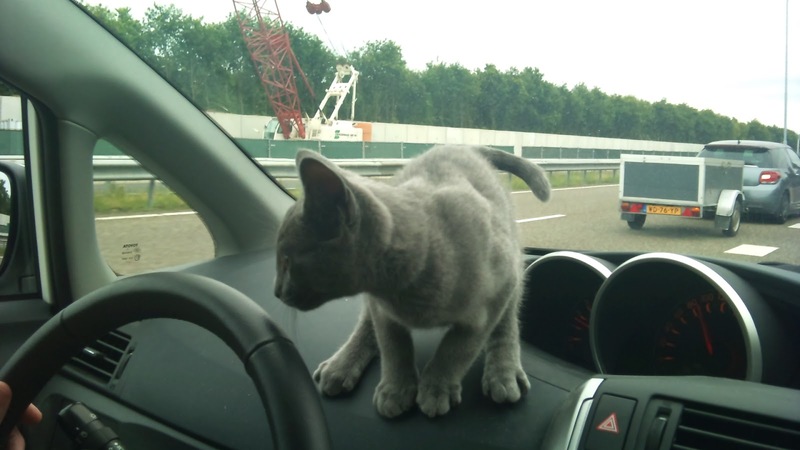 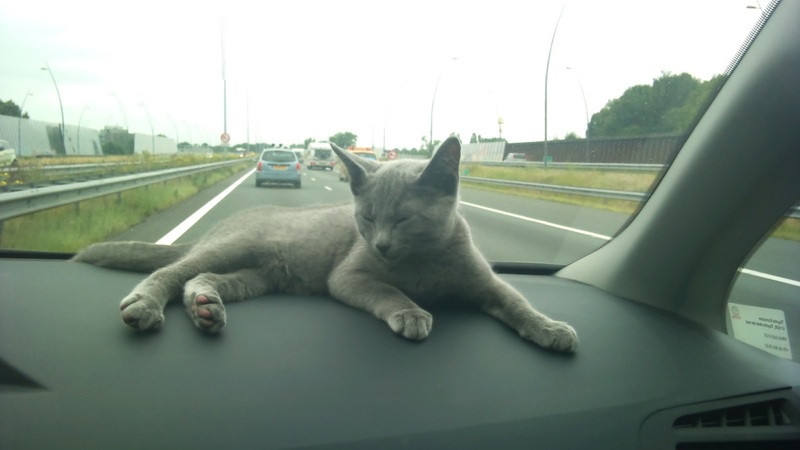 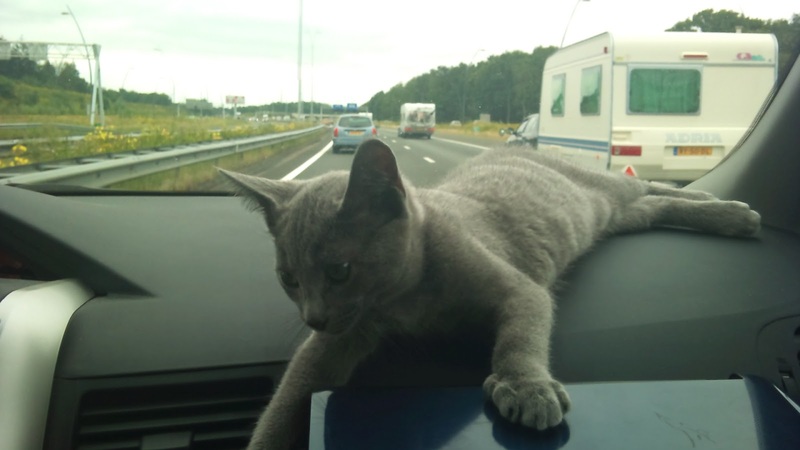 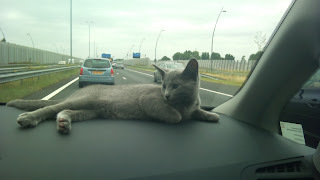 And today he had his first thrilling experience - the long trip in the car.